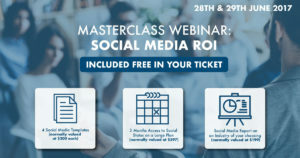 Join us for a 3 hour Masterclass Webinar, as we launch the Social ROI Framework for measuring the business value of social media across all social channels. 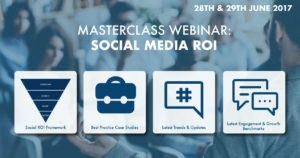 The live format will enable attendees to ask questions via the webinar software to see how you can optimise your brand’s performance on social media. 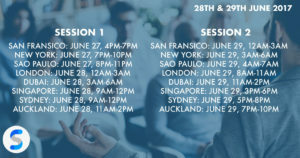 We will be running 2 identical sessions to cater for attendees in different time zones.